It's no secret that I love bread. I love the smell of it and the taste of it. I also really, really love the way it looks. After all, we eat with our eyes first; right? Bread is so versatile. You can use the same dough for a loaf of bread, a pizza crust and cinnamon buns. What distinguishes these three bread products (besides the add-ins, of course) from each other? The technique used to shape the dough. While there are certainly some complicated shaping techniques out there, many are really quite simple. And the resulting loaf is very impressive. Take, for example, the twist. The Russanzopf (or Russian Nut Spiral) that I made a few weeks ago looks wonderful; doesn't it? Those waves you see coursing through the loaf is a filling made of pecan meal, sugar, cinnamon, vanilla, salt and egg whites. How did I do it? The simple twist. Here, let me show you. The dough for this bread is a sweet dough which includes both eggs and butter. 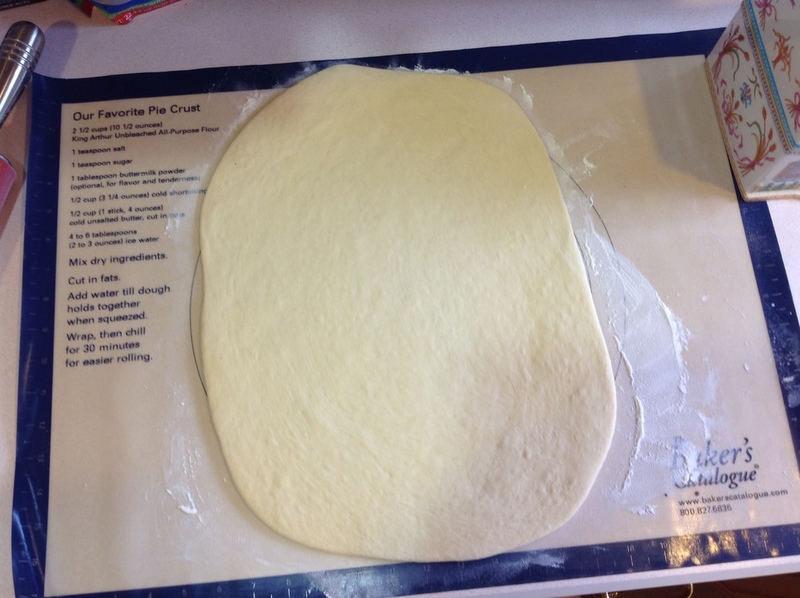 After mixing the dough and letting it rise, roll the dough out into a rectangle. This dough handles very nicely; it rolls easily and quickly. 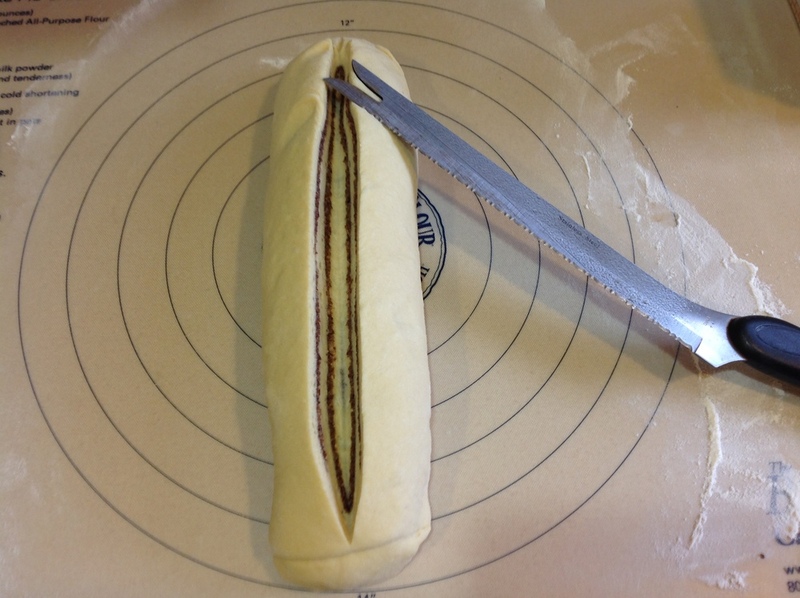 After rolling the dough, spread the nut filling over top of it, leaving about a one inch border on all edges of the dough. 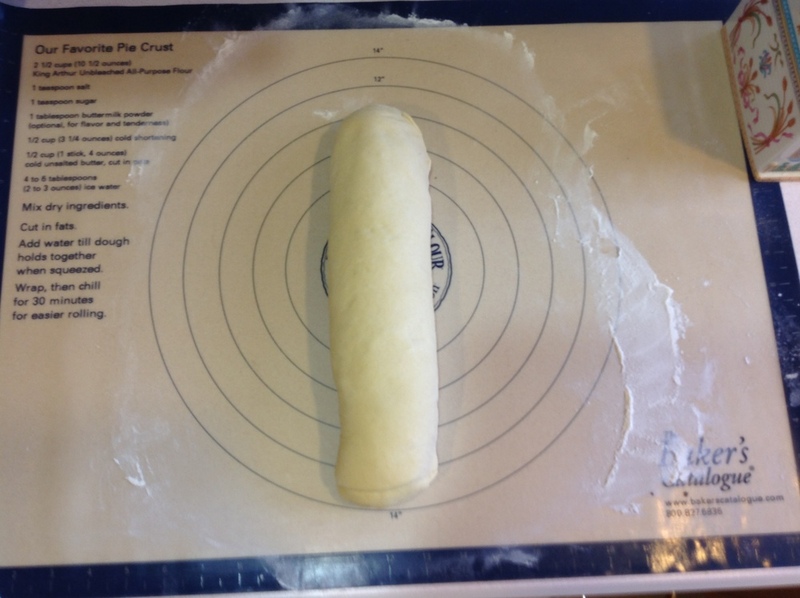 Starting at the short end, roll the dough as tightly as you can without pulling or stretching it. Pinch the seam together and place the roll, seam side down, in front of you. Now, for the magic. Take a bread knife, spray it with non-stick cooking spray, and cut the loaf down the middle from top to bottom. You want to cut the loaf all the way through. 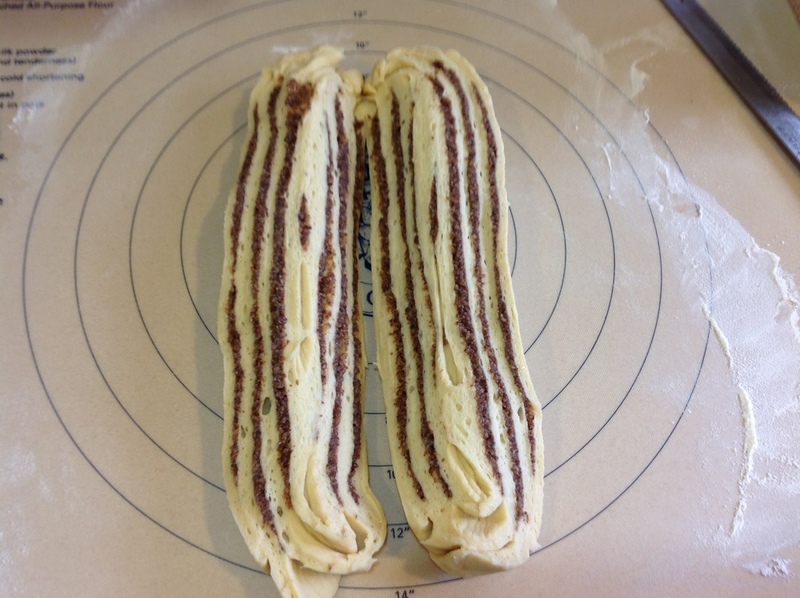 Turn the cut sides of the loaf up then twist them over on each other. You should be able to get two twists. Leaving the cut sides up, pick up the loaf and nestle it into a greased loaf pan for another rise. After the final rise, the loaf is ready for the oven. Bake for 35 to 40 minutes and, voila! You have a beautifully browned twisted loaf that smells heavenly and looks divine. Tastes pretty darn good too. That's the twist. That wasn't so difficult now, was it? So, the next time you are reading bread recipes and you come across a twist, don't bypass it thinking that it is too difficult. Now you know what to do. Give it a try and sit back and enjoy the ohs and ahs. It really is just that easy. Celebrate St. Honore's Feast Day - Bake!